This neighbourhood is changing – demographics are shifting, the community is aging, institutions are expanding, condos are going up, housing prices are rising, the Atkinson Co-op (formerly known as Alexandra Park Housing) is about to be revitalized and communities with long histories like the Kensington Market and Chinatown are transforming. Scadding Court Community Centre, the Sanderson Library and the Alexandra Park Neighbourhood Learning Centre are starting to plan for these changes by exploring options for redeveloping our site. We are embarking on a long process to create a place for ourselves in this community’s future. We are exploring partnerships and options for how to give the city improved public assets so that we can expand and improve our services, without costing the city a dime. Change is inevitable but also can be good. What’s important is that people get involved. Anyone who would like to be kept informed can join our redevelopment mailing list so that we can update you as the process unfolds. A conceptual design of a new facility will be presented at the consultation meeting. 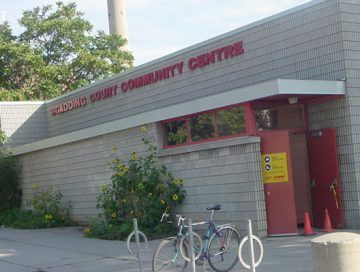 City Feasibility Study for a Redeveloped Scadding Court Community Centre, Sanderson Library and the Outdoor Pool. The study proposes a program of services and activities that responds to community needs and expected future demand. This is an excellent opportunity for you to provide input on what you feel is important as the City considers redeveloping these vital community facilities in your area. 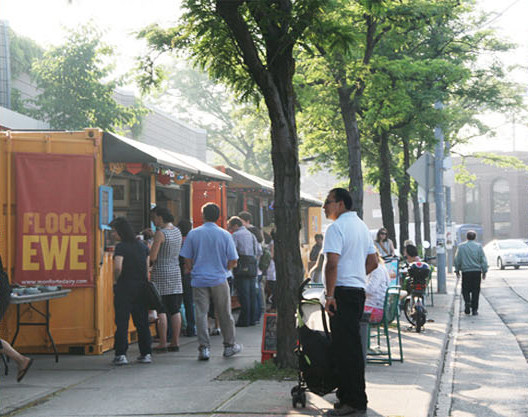 In April of 2014, a motion was moved at Toronto and East York Community Council to direct SDFA and Planning to strike, and jointly lead, an interdivisional committee to explore how to advance the Scadding Court redevelopment. This motion passed at Council on May 6, 2014 without amendments. For the decision history, please visit here. As directed by council, the City Planning division conducted a planning study to develop principles for the revitalization and redevelopment of the Scadding Court Community Centre, including surrounding community uses. This Study was completed and passed by council on November 27, 2012. For more information on the study, contact Graig Uens; the principle City Planner for the study, by email: guens@toronto.ca; or by phone: 416-397-4647. 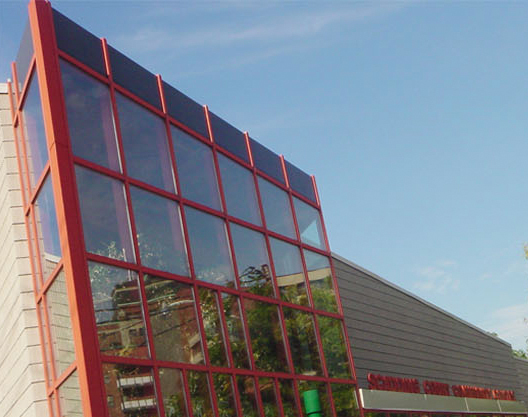 On November 2nd, the Toronto and East York Community Council adopted an action item that asked City staff to initiate a planning study on the potential redevelopment of the Scadding Court Community Centre and Sanderson Library site. Scadding Court is working with Toronto Public Library- Sanderson Branch, the City of Toronto, Toronto Western Hospital and others in the neighbourhood to explore how our site can be improved. To look at what’s possible on our physical site. A report on this study will be in February, 2011. It will include information to be gathered through community consultations in January and an e-survey for residents and neighbourhood stakeholders to tell us what is important for the future. Together, all of this information will help us develop a longer-term strategy for the next steps of the redevelopment. After the feasibility study, we will work start to look at what things cost. The product of this second phase will be a business plan and a cashflow analysis. At this point, SCCC will have to make a decision about how to move forward. A big part of this is doing more community consultations to make sure that our direction reflects what people want. Anyone who would like to be kept informed can join our redevelopment listserve so that we can update you as the process unfolds.